Most people in trucking are familiar with the aerodynamic work that's been done on tractors. It's there in the shaped panels, rounded corners and air deflection devices that characterise modern designs. And the dividends in fuel efficiency are well understood. Turns out these gains are just the tip of the aero-iceberg of what can be obtained from applying such science to the tractor and trailer as a unit. In fact, new research indicates that the holistic approach can reduce aerodynamic drag by as much as 23 percent, which translates to more than a 10 percent improvement in fuel efficiency for vehicles that spend most of their time on the road. Drag opposes forward motion. The energy used to overcome drag on a vehicle places more load on the engine than any other factor in moving the truck forward. 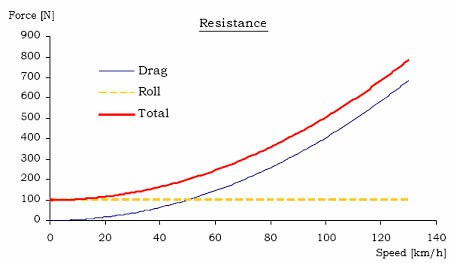 Therefore, drag has the largest impact on fuel usage and mileage. Also, it takes more power at higher speeds to overcome drag. When measuring how effective a vehicle is at defeating the force of drag, engineers use a figure called the drag coefficient or Cd. It is calculated by measuring the effects of vehicle shape, speed and air density. Nothing can be done about air density, so the engineers work on minimizing the other sources of drag. However, improving aerodynamics is a much bigger challenge when it comes to trailers or cargo boxes. It would appear that the greatest obstacle to aerodynamic efficiency is the vacuum left behind a trailer due to the need for a flat rear surface that matches up with loading docks and maximising cargo space within the legal trailer length permitted. Developed in Spain and also extensively proven elsewhere, the System Drag Reduction unit operates on simple aero-dynamic principles and extensive trials have seen reductions in fuel consumption of up to 6% for heavy and lighter goods vehicles. The unit promises massive savings for the industry, while also contributing to safer driving conditions and reduced emissions. The SYSTEM DRAG REDUCTION unit is unobtrusively fixed to the very back of the box or trailer. It works by directing the high pressure air directly into the area behind the box where the largest drag occurs. This action reduces the drag by up to 50% thereby reducing the energy required and reducing your fuel bills. Easily fitted to most heavy and light goods vehicles in just one hour and maintenance free, this unit is moulded of tough Polyurethane and is also available ready finished in white.